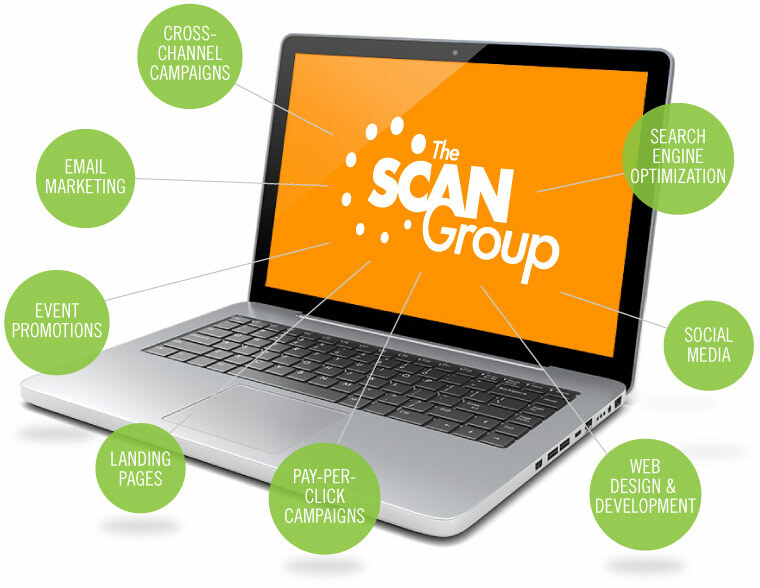 The Scan Group, Inc. Online Marketing - The Scan Group, Inc. The way consumers receive information continues to change on a daily basis as online, mobile and social platforms evolve. The key to reaching that global market lies in understanding your target audience. A blend of traditional and online marketing furthers your strategic reach and provides measurable and trackable results. With real-time reporting, and relevant data analytics, you’ll be able to optimize your marketing.